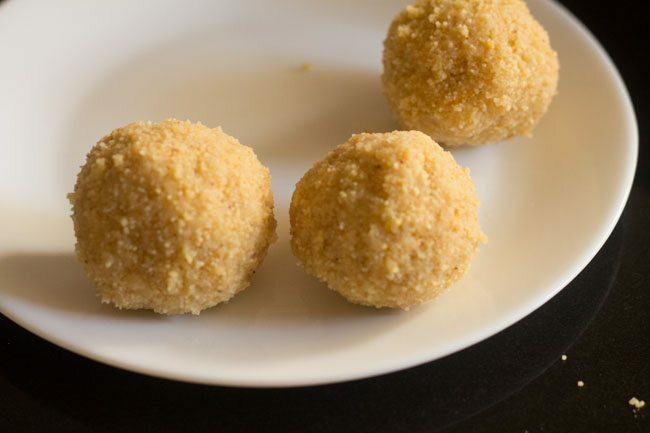 sooji ladoo recipe with khoya - delicious ladoo made with rava (semolina), khoya (evaporated milk solids), milk, sugar and ghee. 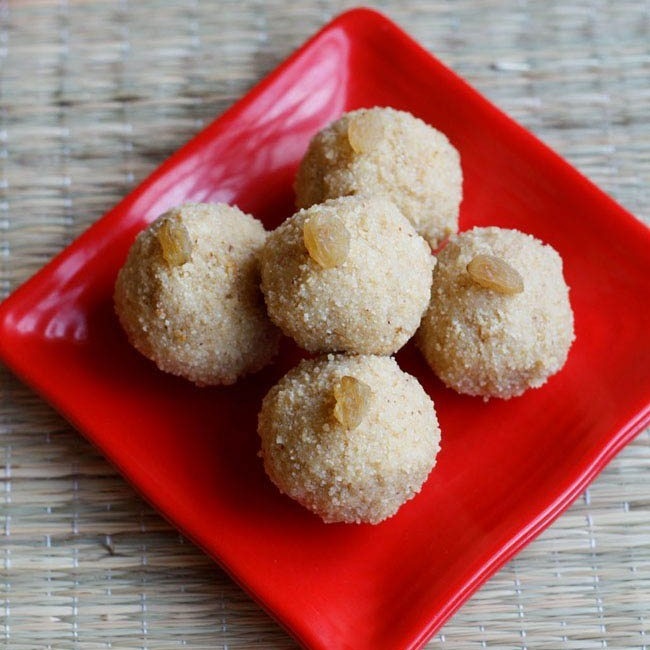 sooji ladoo recipe with khoya. quick and easy to prepare melt in the mouth rava ladoo or suji ladoo. the ladoos are made with sooji (rava or semolina), khoya (evaporated milk solids), milk, sugar and ghee. 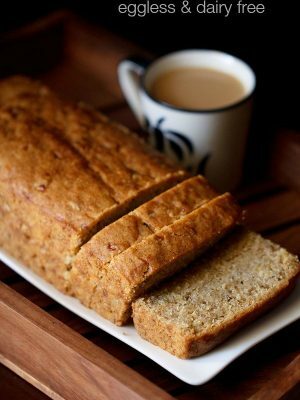 this recipe is quick and can be prepared in less than 20 minutes. 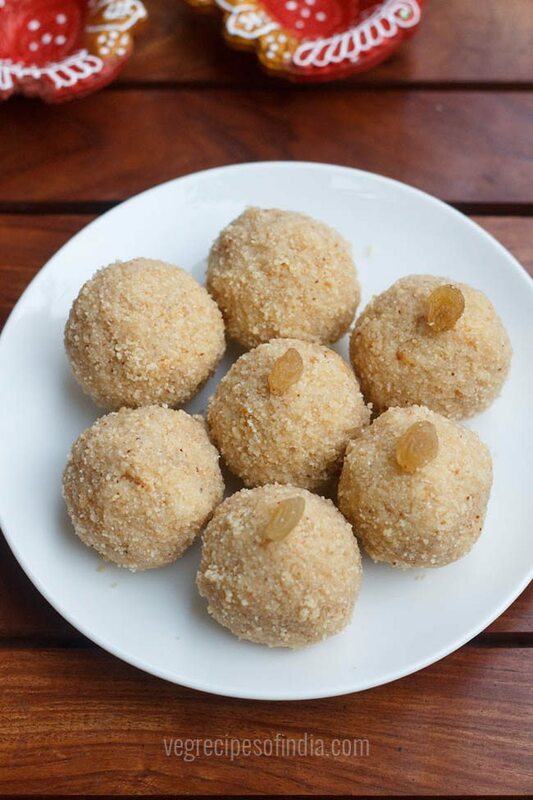 this recipe of sooji ladoo with khoya or mawa was requested by a few readers. these rava ladoo taste very different from the rava ladoo recipe i have posted earlier. you will need mawa or khoya to make these ladoos. 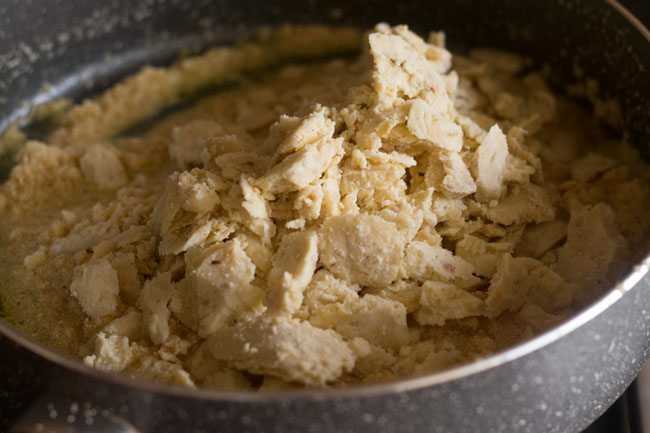 khoya is dried evaporated milk solids. you can get it from outside or make at home. 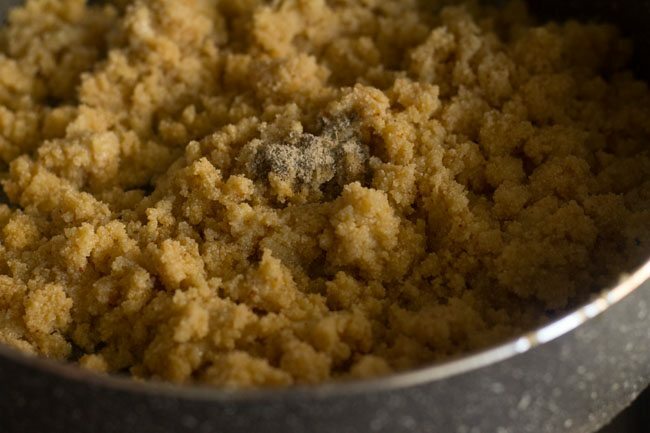 preparing khoya is a long process and does take time. 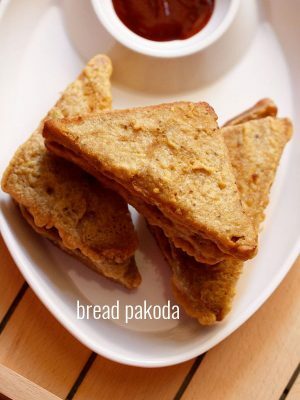 you can check the method on this link – how to make khoya or mawa. 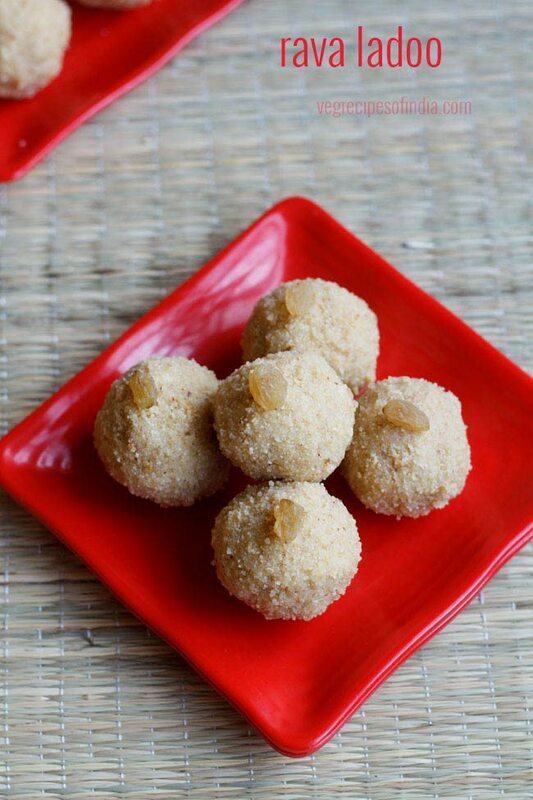 both khoya and a good amount of ghee gives a rich texture and flavor to these sooji ladoos. so these are apt for festive occasions and are not an everyday sweet. if you eat one you will end up eating more. the rava ladoos are quite addictive and tempting. these rava ladoo just melt in your mouth and are very delicious. 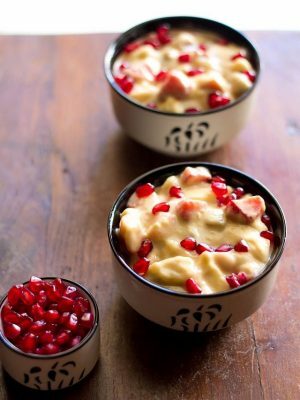 the recipe comes from my mom’s collection again and is one of those sweets she makes during festive occasions. measure all the ingredients for the sooji ladoo and keep aside. 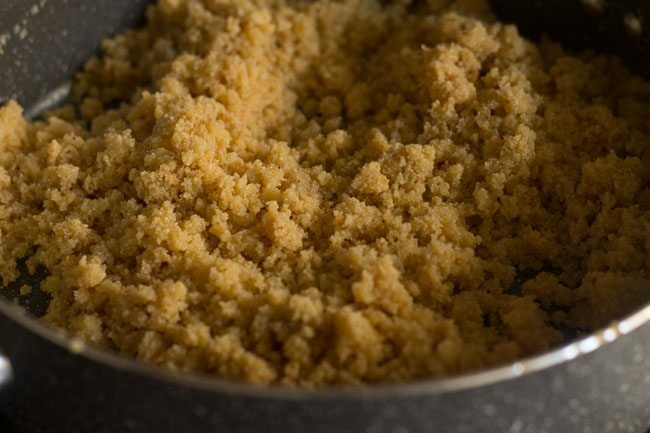 grate or crumble the khoya. 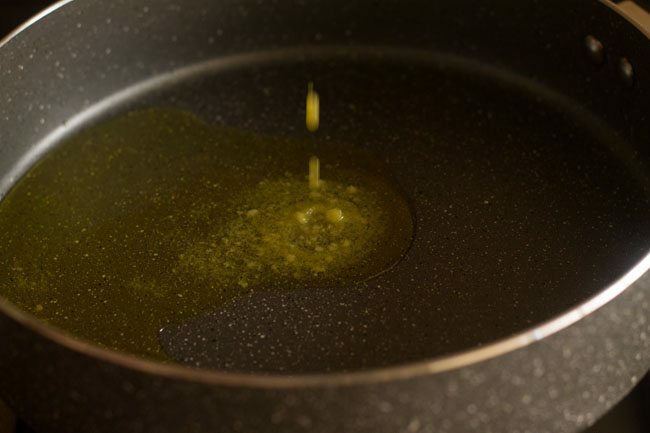 heat ½ a cup of ghee in a thick bottomed pan or kadai. add 1 cup of sooji (rava). 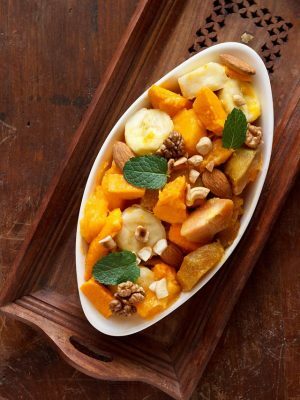 use the finer variety of rava. 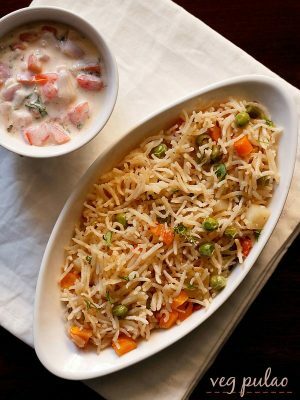 mix very well and keep stirring the rava often on low heat for 8 to 9 minutes. keep stirring continuously on low heat, till the rava becomes fragrant and changes color. you will see the rava has absorbed the ghee. also the rava may expand a little depending on the type of rava you are using. 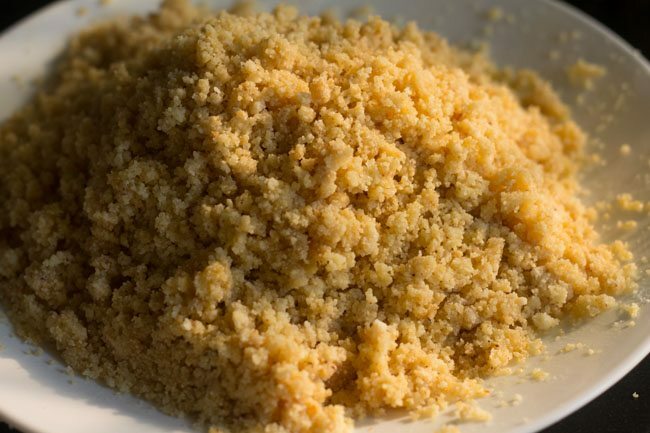 add the crumbled or grated khoya (mawa). stir well on low heat. you have to keep continuously stirring the mixture for 2 to 3 minutes. by this time the khoya will also melt. add ¼ teaspoon of cardamom powder. stir for a minute more and switch off the flame. transfer the mixture to another dish or plate. allow the mixture to cool a bit. after 2 to 3 minutes just touch the mixture. if you are able to sustain the heat, then add 1 cup of powdered sugar. alternatively you could use a spatula or spoon to mix. mix well with your hands or a spoon or spatula. 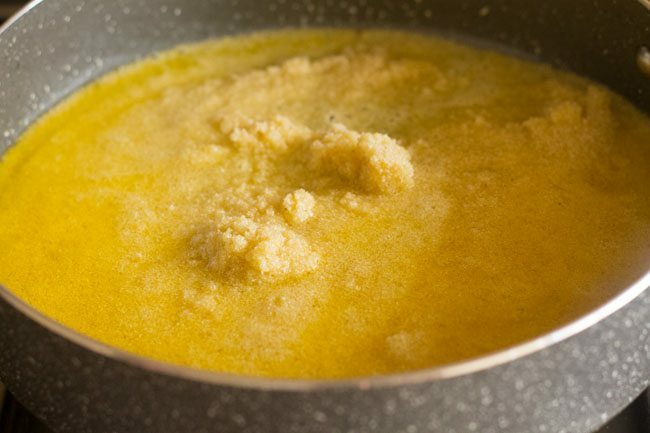 grease your palms with a bit of ghee. 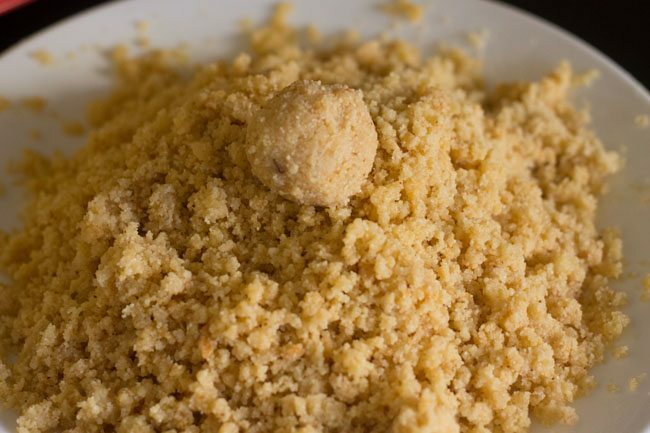 take a scoop of sooji ladoo mixture while its still warm on your palm. check if you can handle the heat, then start shaping into suji ladoo. similarly make sooji ladoo from the rest of mixture. garnish with raisins. serve sooji ladoo warm or cold. you can also store them at room temperature in an air-tight jar. if refrigerated will last for a week. cook the ladoo mixture on low flame through out. you can garnish the rava ladoos with raisins. its optional. rava ladoos are shaped best when the mixture is warm. however do take care of your fingers or use hand gloves. 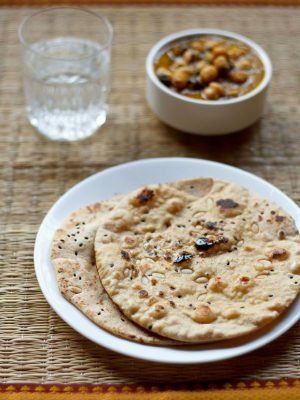 1. heat ½ cup of ghee in a thick bottomed pan or kadai. 2. add 1 cup of sooji (rava). 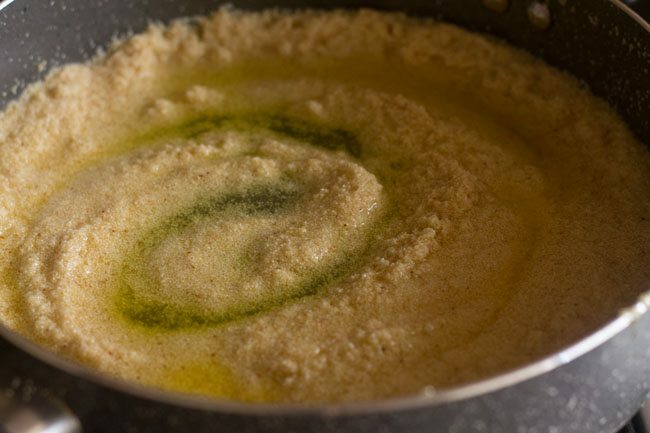 use the fine variety of rava (cream of wheat). 3. mix very well and keep stirring the sooji often on low flame for 8 to 9 minutes. 4. keep stirring continuously on low flame till the sooji becomes fragrant and changes color. a faint creamish brown is fine, but do not brown too much. you will see the sooji has absorbed the ghee. also the sooji may expand a little depending on the type of sooji or rava you are using. 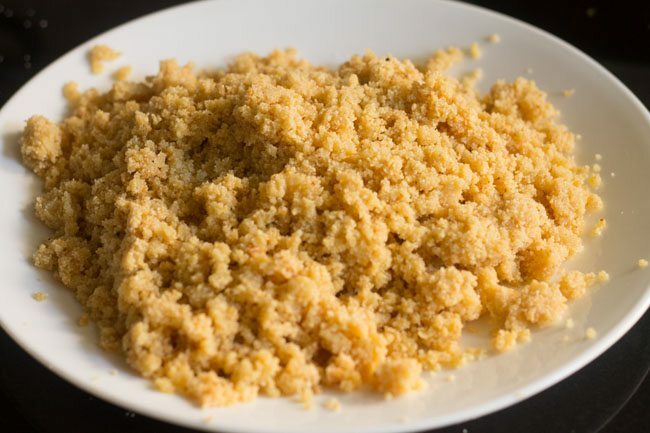 5. then add the chopped or grated khoya. 6. mix and stir well on low flame. you have to keep stirring the mixture for 2 to 3 minutes. the mawa or khoya will also melt. 7. add ¼ teaspoon cardamom powder. 8. stir for a minute more and switch off the flame. 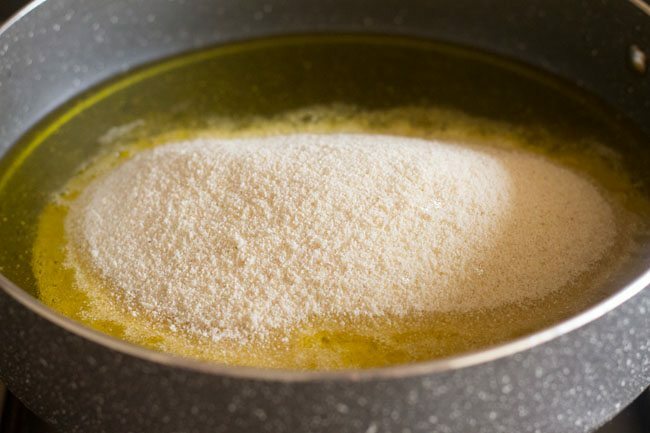 9. transfer the mixture to another dish or plate. 10. allow to cool a bit, after 2 to 3 minutes just touch the mixture. 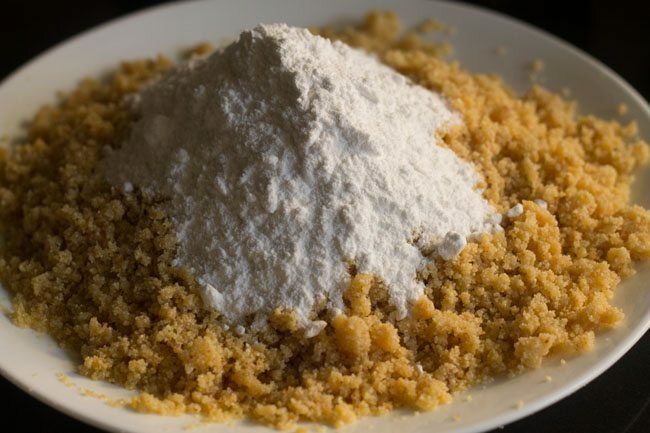 if you are able to sustain the heat, then add 1 cup of powdered sugar. 11. mix very well with a spoon (spatula) or your hands. 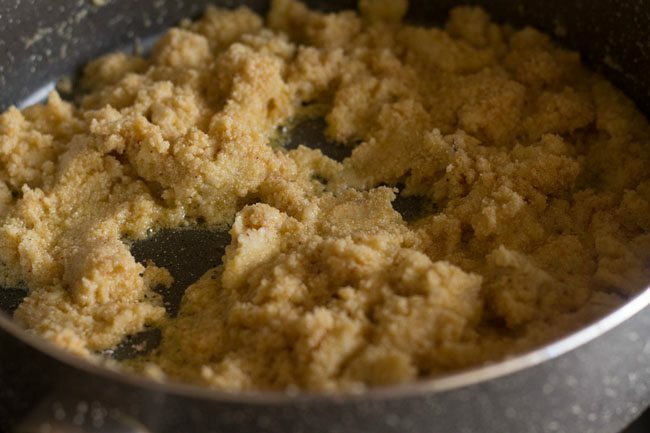 12. grease your palms with a bit of ghee. take a scoop of mixture while its still warm on your palm. 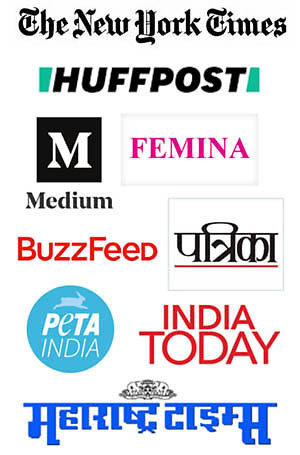 check if you can handle the heat and start shaping into ladoos. if you are not able to form ladoos, then let the mixture cool down more and then shape into ladoos. 13. similarly make sooji ladoo from the rest of mixture. i got 10 ladoos from the ladoo mixture. garnish suji ladoo with raisins. serve sooji ladoo warm or cold. you can also store them at room temperature in an air-tight jar. if refrigerated then these rava ladoo with khoya, will last for a week. 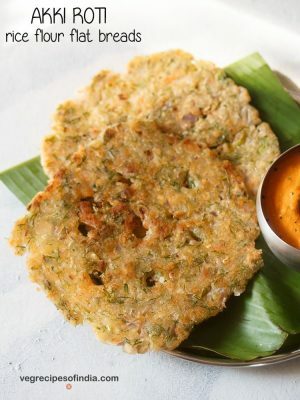 for more rava recipes, you can check this link – collection of 25 rava recipes. I made this ladoo earlier and came out well. Second time, when I made, unable to make balls. Can you advise why? can you let me know exactly what was the issue. like eg was the mixture was too soft or hard or dense. I made this laddu yesterday n it was so yummy n teasty, as u said it’s just melt in mouth….thanku so much for this easy recipe…. Happy Diwali to u n ur family…….Mata Annapurna always bless u with lots of happiness….. 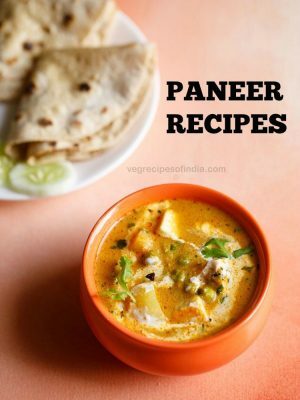 Always update yummy recipes like this so I can make it n serve it to my family to make them happy……without making ur recipes my day is incomplete…..
Lots of love mam…..n thanku so much for the part of life to make my cooking easy n experimental……..
thanks a lot suvidha for your lovely comment on the recipe and also for your kind wishes. felt good reading your comment. wish you and your family too a happy and prosperous diwali. may the festival of lights bring abundance, joy, compassion and happiness in your life. 1 cup is 160 grams.